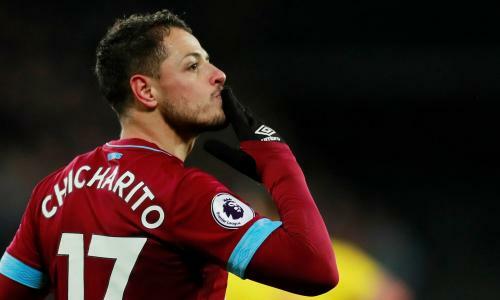 Javier Hernández Balcázar ; born 1 June 1988) is a Mexican professional footballer who plays as a striker for English club West Ham United and the Mexico national team. Hernández is commonly known by his nickname, Chicharito , which he wears on his shirt. He began his career in 2006, playing for the Mexican club Guadalajara, before becoming the first Mexican player to join Manchester United in July 2010. After falling out of favour under managers David Moyes and Louis van Gaal, he spent the 2014–15 season on loan to Real Madrid, then moved permanently to Bundesliga club Bayer Leverkusen in August 2015. His minutes-per-goal ratio during his time with Manchester United is among the most prolific in the history of the Premier League. 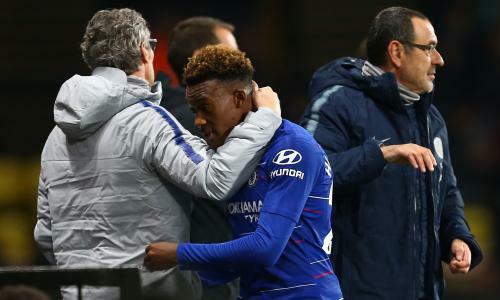 Football transfer rumours: Pulisic in, Hudson-Odoi out at Chelsea? Nathaniel Clyne off to Cardiff? | Galatasaray in for Fernando Llorente? | Valencia eye Javier Hernández?